I loved it!! Even my toddler who are a pretty fussy eater had a few. Easy to prepare as well. These little bites are so delicious. I love this as a snack. Not too salty. So quick and easy to prepare. It is so yummy with some tomato sauce and chilli paste. I wanted something yummy while watching tv in the late afternoon and this was perfect for it. Thank you so much for letting me review. Will definitely buy again as my kids did not get a chance to try them out. Gave these to the kids as a quick easy lunch and they are very quickly gave them the thumbs up! Loads of flavour with a smooth inside and crunchy outside. 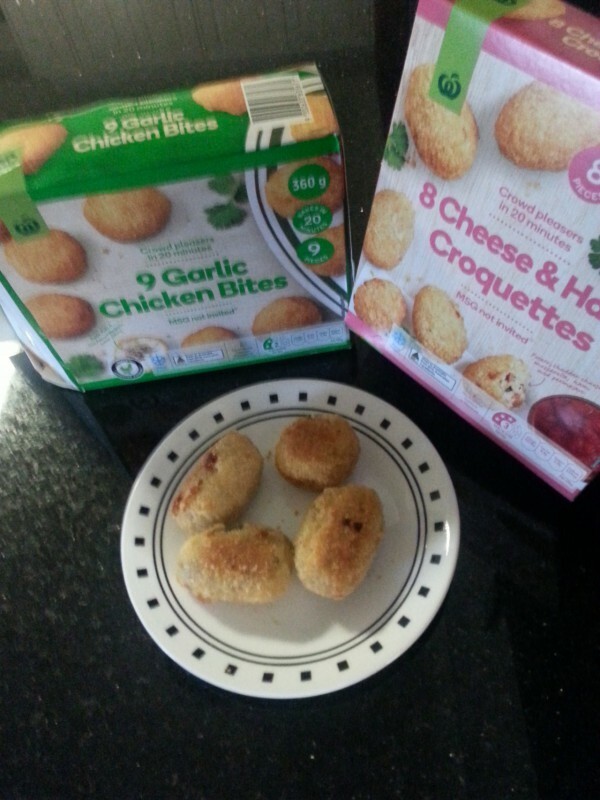 I had high hopes for these gems because I love croquettes…. After letting them cool, I found them to be really chewy on the outside and the filling was minuscule in the middle which left the outside chewy crumbing to overpower what little there was inside. I think the biggest problem was that they were under seasoned. Where was the ham? The colour was a bit off as well. Such a shame and they weren’t finished so I threw the rest out. Sorry but it is a no from me. The ham and cheese croquettes are absolutely out of this world. My toddler even enjoyed them. I would definateley buy these again! Croquettes are very time consuming to make from scratch. As a working mum these are perfect when you are in a hurry and just dont have the time! My kids absolutely loved these they are full of flavour and so easy to cook perfect for an afternoon snack or really anytime so handy with being bite size to. Easy for kids to pick up and taste great to. Highly recommended great taste great size and my kids love them. Delicious and a real winner. So this is my second review and comes once again from the whole family and it’s another huge thumbs up. 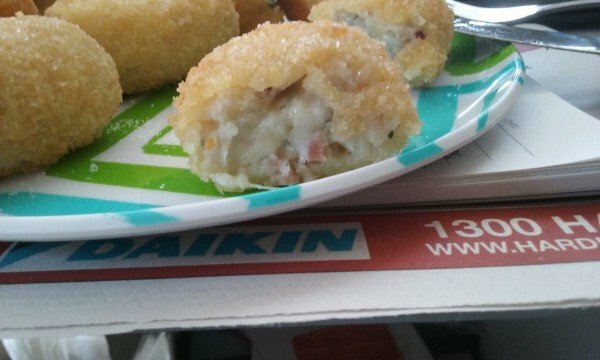 Every one agrees these are super tasty, delicious crispy coating with a lovely cheesy potato-ey filling with delightful pieces of ham throughout. 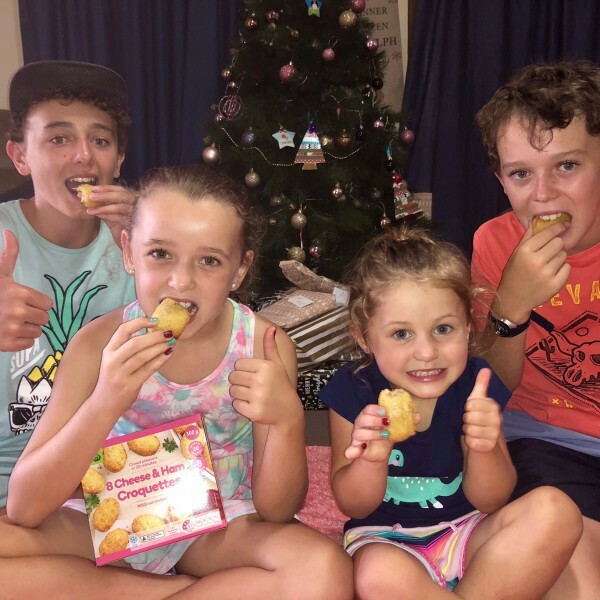 Once again like the garlic chicken bites I will be purchasing these croquettes for Boxing Day and will do another review on what the extended family thought of them. Once again thank you so much for the opportunity to sample and review. It’s been a tasty treat. I had two items to review these and the Thai vegetable. The ham and cheese croquettes were the winner! They were so good! They would make the perfect, simple and easy dish to whip up for parties or family gatherings. I will definitely be buying these again! They’re all gone and I’m craving them already! Like the garlic chicken bites I simply loved the ease of preparation of these croquettes. Simpy preheat oven to 200c, place on tray in oven, set timer for 20 minutes and walk away, return when bell rings, take out and enjoy. Perfect. Actually I cooked these on the same tray at the same time as the garlic chicken bites…a win win. The crumb coating was golden and crispy and the middle was fluffy and light with delightful pieces of tasty ham. Like the bites you once again have won me over with these croquettes and I will be purchasing them again for sure. So very handy to have on hand in the freezer for quick fuss free snacks or side accomplishments, and super great for entertaining. Like I stated in the garlic chicken bites review I would suggest you rectify your pieces problem as in this box of croquettes instead of 8 I actually got 9. I imagine some folk actually work on pieces per person and its hard when contents are incorrect. Although I may have gotten 9 croquettes my 9 would have been smaller in size than a pack that contained 8 as I am sure the product is sold on weight. And once again I would actually like to see this box increased to contain 400g as this 300g box is just not enough. And like I have stated on my bites review I would simply love the addition of a disposable tray included , then we could say easy, fast, delicious and mess free. These croquettes the same as the bites states: Do not reheat or refrigerate once heated. Well as I previously said I have refrigerated a couple for my son to try on return home from work and I am sure they will be just fine. Great price and absolutely delicious and will be purchasing again. Thank you so much for the opportunity to sample and review your product. Both my baby and I are big lovers of cheese, so that the cheese and ham croquettes really suit us. it’s good for party, dinner, lunch box and a snack. it’s crunch outside but soft inside, suitable for baby’s bite, too. Wonderful.